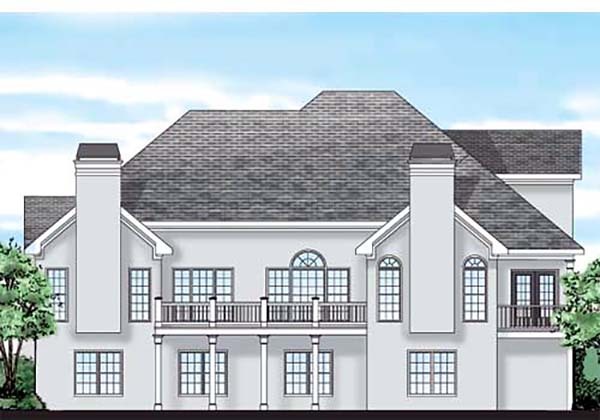 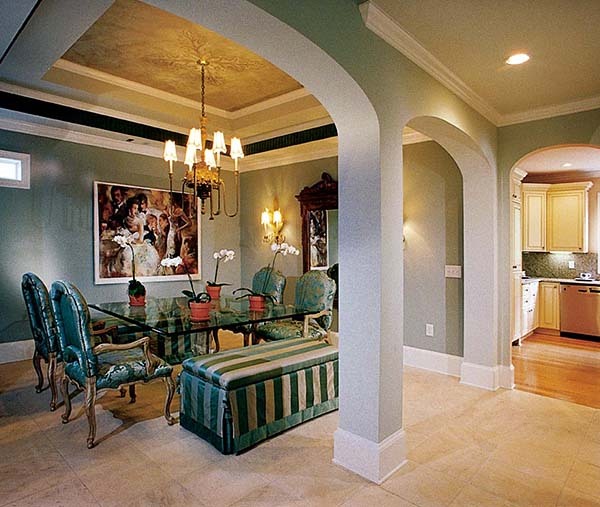 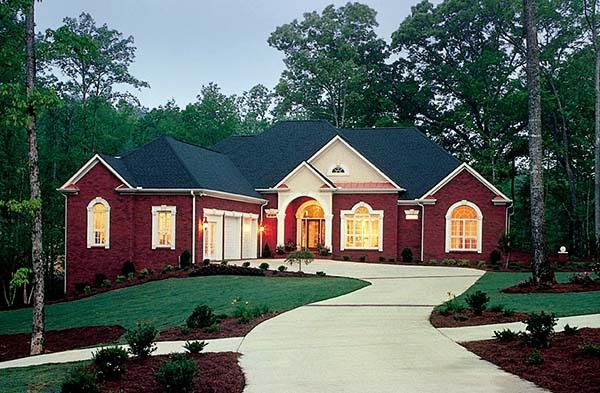 Finley House Plan - The classy and upscale appeal of European stucco will never go out of style. 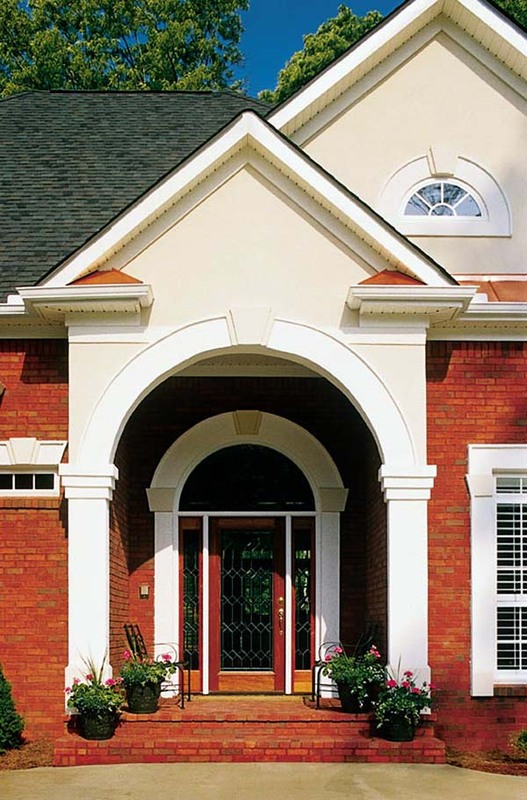 Embellished with fieldstone accents, the Finley's facade is as welcoming as it is eye-catching. But the real treat is inside… with a floor plan that is sure to please! 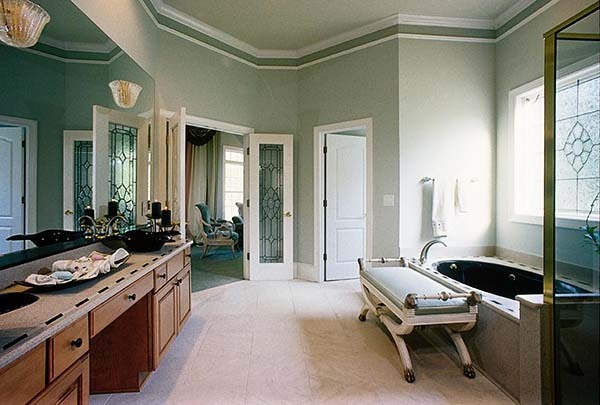 The master suite was designed to be a true haven for its resident. 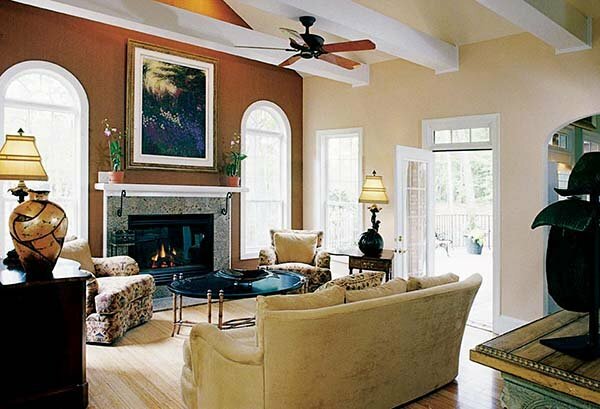 Its private sitting room is an extension of the suite, with dimensions generous enough to house plenty of furniture or exercise equipment. 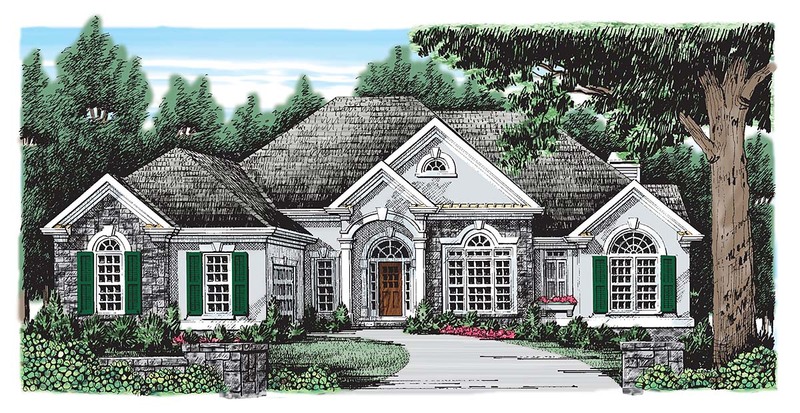 Unlike many of its one-level counterparts, the Finley has two living rooms: one serving as the home's focal point and one adjoining the breakfast area for informal gatherings.